For over half a century, urban highways in North America have disproportionately impacted minority communities. Running through historic neighborhoods, they have severed connectivity, demolished homes and businesses, and left blight in their wake. 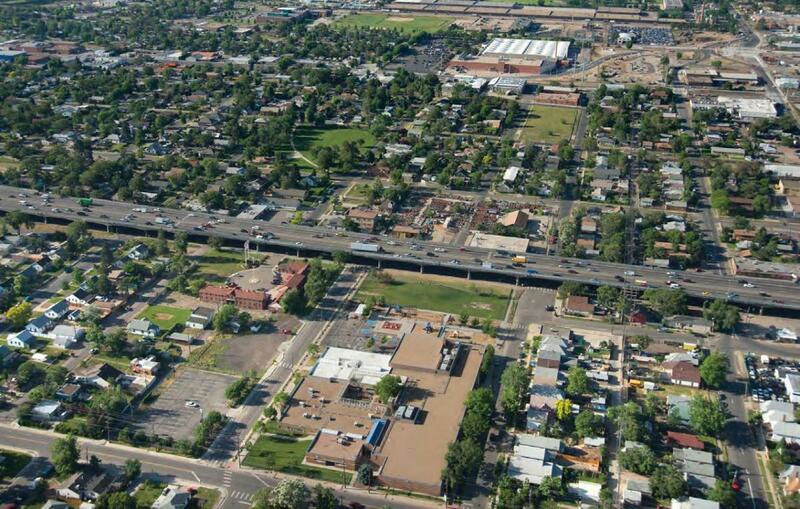 In Denver, the construction of Interstate 70 inflicted its ill effects on three urban neighborhoods: Elyria, Swansea, and Globeville. In those historic minority communities, residents were cut off from opportunity, access, and needed services. Now, like many mid-20th Century highways, I-70 in Denver is reaching the end of its life cycle—and one viaduct along its route needs major repairs. Instead, however, the Colorado Department of Transportation (CDOT) has announced a $1.2 billion plan to tear down the viaduct, bury part of the highway, add four more lanes, and expand toll lanes, shoulders, and service roads. Along the way, the plan would require the state to acquire and demolish 80 residences and 17 businesses—including the neighborhood’s only source to purchase food. 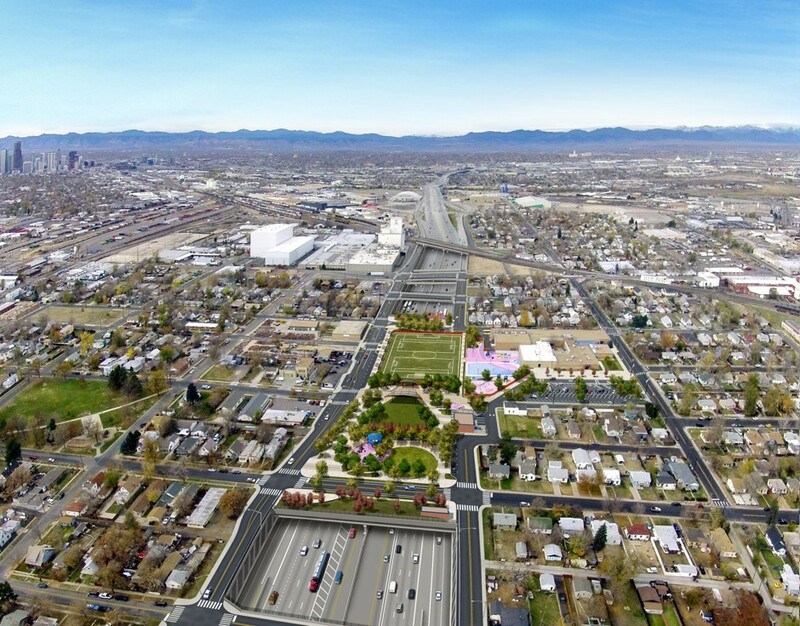 Now, a group called Unite North Metro Denver has a better proposal: Reroute interstate traffic to the north, and redesign I-70 as a bike- and pedestrian-friendly boulevard. Such a plan would cut noise and air pollution while bringing new investment opportunity to neglected neighborhoods. Furthermore, the boulevard would cost less, open up developable land, and reunite areas that have been blighted by the highway. As the debate over I-70 has grown, national and state groups have taken notice. Environmentalist leader the Sierra Club has filed a lawsuit against EPA over the proposed widening. Meanwhile, a recent report by Colorado Public Interest Research Group advises against the expansion. The report estimates $58 million in taxpayer dollars will be wasted on a project that encourages more driving and doesn’t include expansion of mass transit. Under CDOT’s proposal, burying part of the expanded I-70 would involve digging below the water table and into polluted soils. 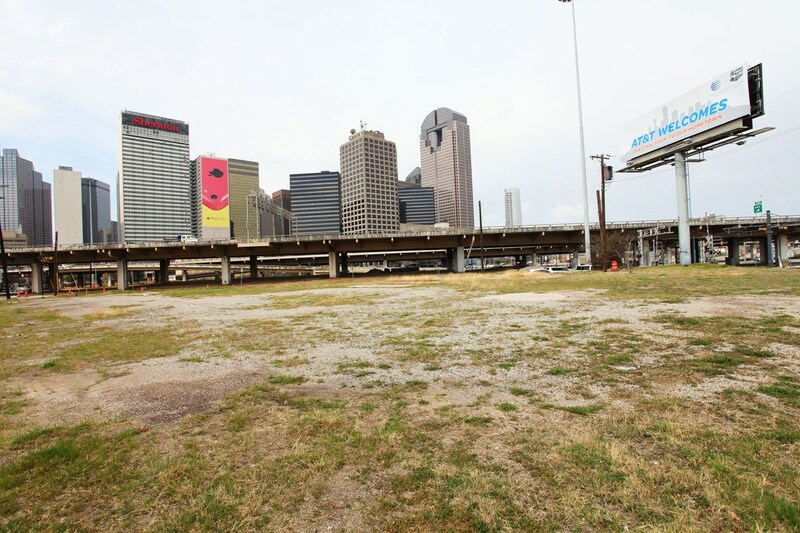 A partial 800-foot grass cover is proposed, which will be isolated between two large frontage roads, creating an isolated “recreation island” inaccessible by pedestrians or bicycle. Moreover, the data used to justify the project is more than a decade old and ignores trends of lower-than-expected motor vehicle use. 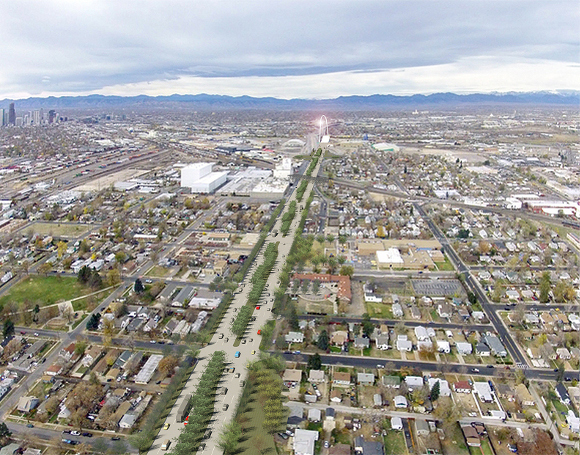 “Instead of a grade-separated, widened superhighway, dedicated to cars and trucks,” the United North Metro Denver imagines, “a tree-lined, pedestrian-friendly boulevard emerges. Long-broken bicycle pathways are re-established.” Roundabouts could replace interchanges, freeing up land for development, tax revenue, and potential affordable housing. The traditional grid is reestablished, healing the long-separated neighborhoods. Designed through a contextual and community-driven process, the new boulevard would open up and connect several neighborhoods and districts—including the National Western Complex, a set of historic venues associated with the National Western Stock Show and other events. Denver citizens recently voted to fund a restoration of the complex. In Detroit, Michigan, a city built largely by and for the automobile industry, demolishing a highway seems as far from likely as anywhere. 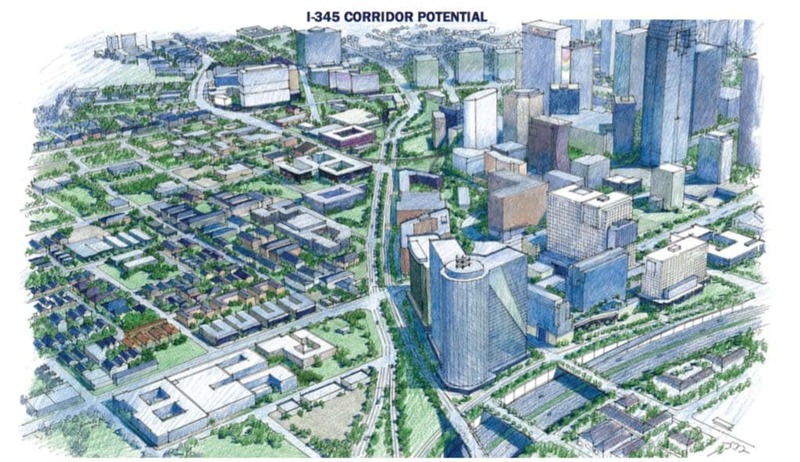 Now, however, the removal of the mile-long downtown freeway spur called Interstate 375 has emerged as a possible project—and a potential major breakthrough for the city’s urban renaissance. Constructed in 1959, the four-lane below-ground spur that makes up Interstate 375 is a concrete barrier between Detroit’s Riverfront, Greektown, Eastern Market, and Stadium districts. To local residents, its legacy is tied to the failed urban renewal efforts that destroyed many of Detroit’s African-American neighborhoods—including several, like Black Bottom, legendary for their culture and nightlife. In the 1940s and 50s, notes the Detroit Free Press, “The Black Bottom district…housed the city’s African-American entrepreneurial class, with dozens of thriving Black-owned businesses and the Paradise Valley entertainment zone, where Duke Ellington, Ella Fitzgerald and Count Basie performed.” When I-375 was constructed, its designers plowed through the commercial heart of communities like Black Bottom and Lafayette Park—and the creation of public housing projects to the north leveled the rest. Today, Detroit faces many challenges, including maintaining its outsize infrastructure burden despite a shrinking population. Annual daily trips on I-375 have decreased to approximately 80,000 vehicles at its north end and only 15,000 vehicles at the south, according to Michigan Department of Transportation (MDOT). An Environmental Impact Statement was written to expand the highway in the early 2000s, but a lack of funding and changing conditions in the city delayed the project. When downtown strongly recovered this decade, advocates pointed to the removal of I-375 as a potential catalyst for revitalization. Replacing I-375 with a boulevard could open up about 12 acres for redevelopment, said MDOT director Kirk Steudle. “This is a significant piece of downtown Detroit,” he said. In 2014, a coalition including MDOT, Detroit Riverfront Conservancy, and the Detroit Downtown Development Authority began studying options for the I-375 corridor. A report with six alternatives was released in 2016—including an option for rebuilding the highway ($60-70 million), replacing the highway with a multimodal boulevard ($40-50 million), and replacing it with a sunken greenway ($40-50 million). The report left the door open to a secondary study of Jefferson Street, an equally important thoroughfare that is impacted by I-375. A careful analysis of Jefferson Street is needed if freeway demolition is to succeed. At 7-9 lanes across and carrying 29,000 cars per day, crossing Jefferson is jarring. It used to be one of Detroit’s great urban streets. 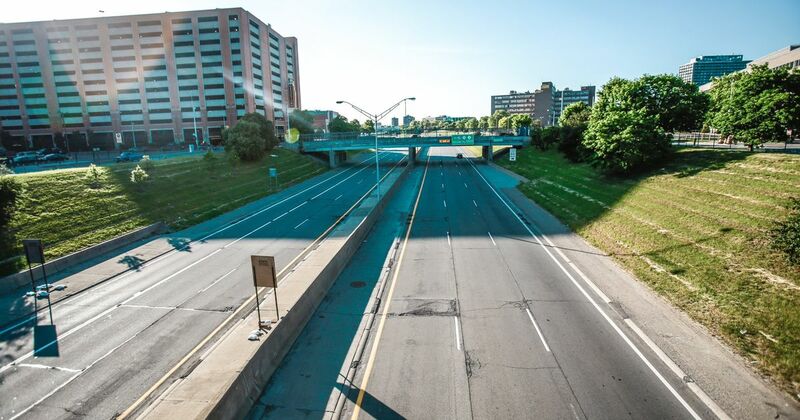 Though the lack of consensus and funding questions have put a final I-375 recommendation on hold, the City of Detroit remains open to the idea of removing the highway. All six alternatives are on the table—including a boulevard that would better connect the rapidly redeveloping east riverfront district—and as the reemergence of downtown Detroit continues, the fate of Interstate 375 will only become more and more crucial. In the city of San Francisco, two of North America’s most successful freeway removals have yielded celebrated results: the Embarcadero and Octavia Boulevards. Now, just across the bay, the City of Oakland is considering replacing an underutilized below-grade section of Interstate 980 with a surface boulevard that would reconnect West Oakland to Downtown. The project, which has gained widespread support in recent months, would reuse the freeway space for major regional rail service running under a surface boulevard. While the idea of removing I-980 has been discussed since its completion in the mid-80s, the current leading design concept came from a citizen-led campaign called ConnectOAKLAND, started in 2014 to advocate for the removal of the freeway and the reconnection of the street grid. ConnectOAKLAND’s vision would create or re-open 21 new city blocks—totaling approximately 17 new acres of high-value, publicly controlled land. “With imaginative engineering and design, [I-980] could be replaced by a boulevard lined with housing at all price levels, reknitting the urban landscape,” wrote John King of the San Francisco Chronicle, in a major review of the concept last year. The freeway is now an underused remnant connecting CA-24 and I-580 to I-880. While it carries only 73,000 cars a day and no freight traffic, it cuts an enormous 18-lane swath through the center of Oakland and isolates the West Oakland neighborhood. The design of the freeway was typical of large scale 20th century infrastructure projects, which disproportionately affected low-income communities of color in a quest to improve commutes for affluent white suburbs. The City of Oakland included the I-980 corridor multi-way boulevard into the Draft Downtown Specific Plan, and is now seeking funding for community outreach, project planning, and engineering studies. The Mayor’s Policy Director for Transportation and Infrastructure, Matt Nichols, has been actively engaging key agencies, including Caltrans, the state’s DOT, as well as HUD and FHWA, affordable housing lenders, and social equity institutions such as PolicyLink. Five mayors in the region have common sense: Why spend $6 billion for a tunnel and freeway across Pasadena, South Pasadena, Alhambra, and Los Angeles that citizens have been fighting for more than a half century? Why not use a grid of streets—the tool of a traditional city—to distribute the traffic, contributing to quality of life and land values? The north State Route 710 tunnel, one of three alternatives proposed by California Department of Transportation (Caltrans) and LA County Metropolitan Transportation Authority (Metro) and supported by lobbyists, would likely induce more traffic—yet it seems to have grown a life of its own. In 1964 the State of California seized a half-mile swath of Pasadena’s most valuable land, demolishing hundreds of houses to extend the 710 Freeway to the 110 and the 134 and 210 freeways. 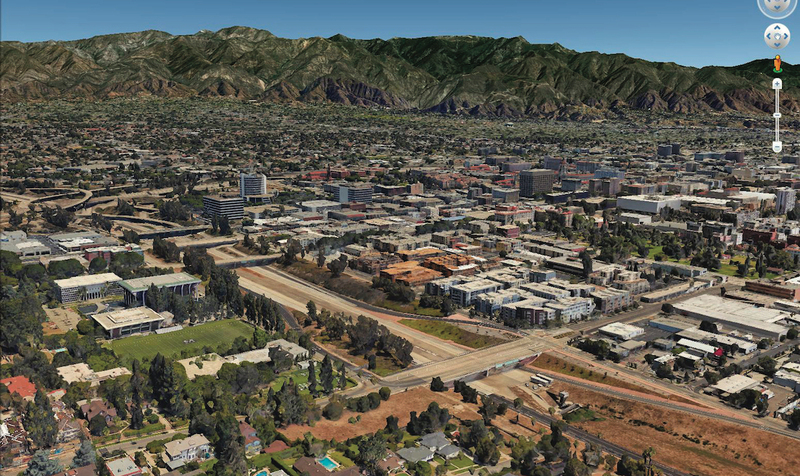 The stub now interrupts the street grid of neighborhoods to the east and west and separates desirable Old Pasadena from key schools, civic assets, and businesses. A similar stub was built in Alhambra and Los Angeles at the southern end. Photo, top / Route 710 stub today. 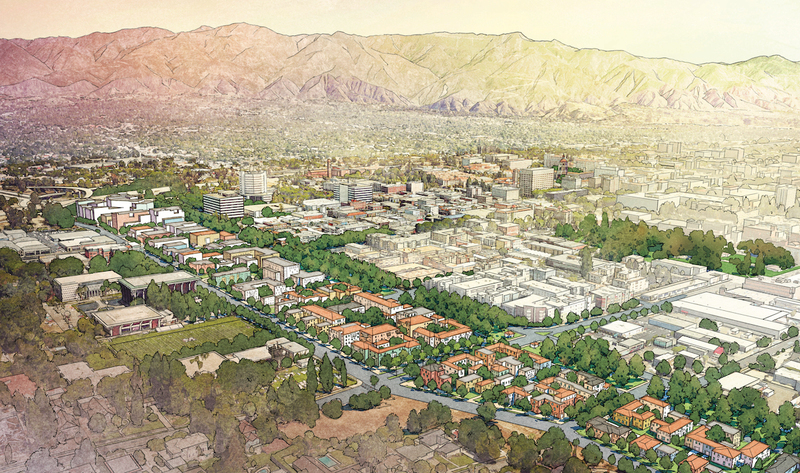 A five-city coalition—Glendale, Pasadena, Sierra Madre, South Pasadena, and La Cañada Flintridge—has been fighting a variety of completion schemes for decades. CPP’s proactive 710 Reclaim plan illustrates the manifold benefits of abandoning the Caltrans/Metro completion plan. The state-owned land between California Boulevard and the 210 Freeway represents nearly 2.5 million square feet of potential development, according to the Pasadena Star-News. A property with 50 developable acres does not exist anywhere else in Pasadena and would be hard to find in Los Angeles County, the paper reports. “It’s time for this governor, a distinguished environmentalist and urbanist, to put a final end to this disastrous boondoggle and heal the wounds inflicted by an unnecessary urban freeway,” says Stefanos Polyzoides, an architect and urbanist who led Pasadena meetings and developed the alternative land-use proposal. In the past decade, however, downtown Rochester has staged a dramatic comeback. Business and retail activity has returned to the city, and its downtown population is expected to rise more than 400% by 2020. The partial removal of the Inner Loop, a groundbreaking project currently in its finishing stages, has helped drive that renaissance. With community support and funding assistance via a USDOT TIGER grant, a one-mile segment of the Inner Loop is being filled in and restored as a walkable, multimodal at-grade boulevard surrounded by mixed-use development. While the original highway boasted twelve travel lanes despite only carrying 6,000 vehicles per day, the replacement boulevard design will require only three lanes of space—plus on-street parking, sidewalks, and green space. 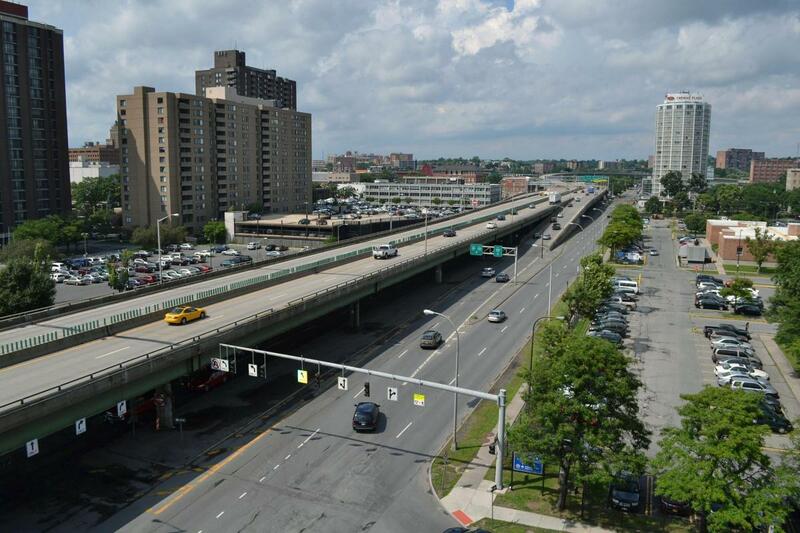 While other cities have removed elevated and surface highways, Rochester may be the first to fill in a below-grade highway, according to The New York Times. As part of the Inner Loop conversion project, north-south streets are being reconnected for two-way traffic for the first time in more than 50 years. In effect, the project has reopened downtown for residents of Rochester’s neighborhoods. Thanks to the project, six acres of government-owned land, and more private land, is available for redevelopment. Every parcel has a developer on board, with a mix of residential, retail, commercial, and civic uses planned. One large residential project has already completed its first phase, featuring 70 new market-rate apartments, and additional for-sale townhouses and affordable apartments are planned. 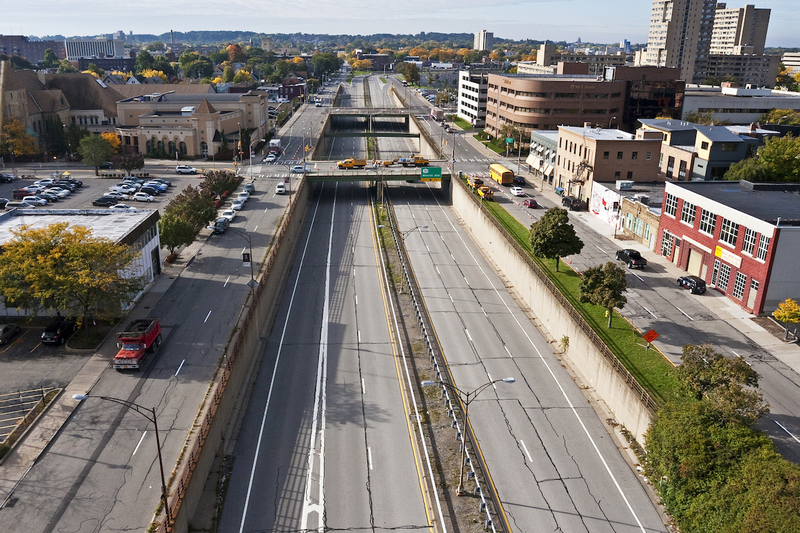 Now, the City of Rochester wants to fill in the northern section of the Inner Loop, which carries just 20,000-25,000 vehicles a day, and replacing it with a surface street—reconnecting the entire east and north side of downtown to nearby neighborhoods. Studies have shown that the majority of the traffic can absorb into the downtown street grid, which is well-equipped to handle the load. Beyond even that section, the remaining Inner Loop continues to pose physical barriers between the downtown and adjacent neighborhoods, and much of the land on the corridor is vacant with an opportunity for development. 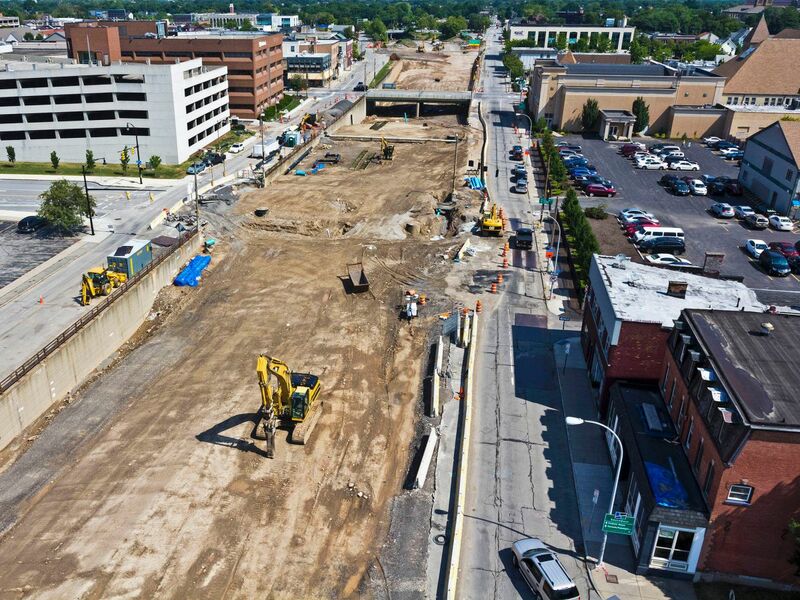 The Inner Loop transformation may continue to drive Rochester’s growth in the future—revitalizing neighborhoods, bringing businesses, and adding jobs. When the City of San Francisco chose to demolish rather than rebuild two earthquake-damaged freeways in 1989, it began a historic natural experiment in urban planning. Ultimately, that example would prove to the world that removing in-city highways could boost quality of life, economic development, and housing affordability. 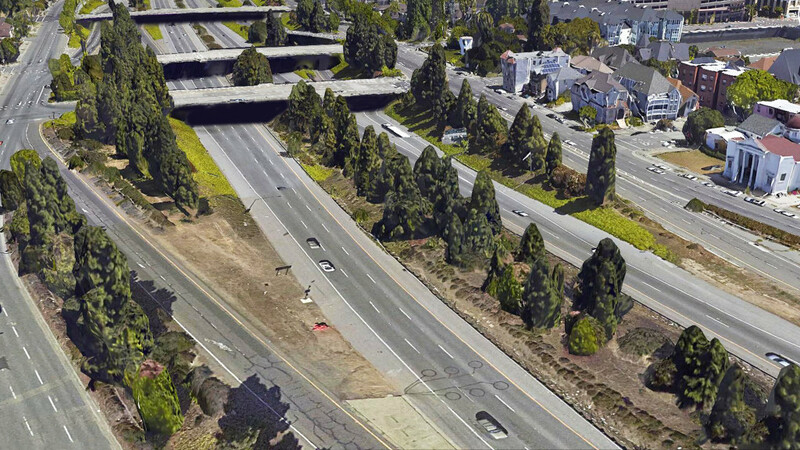 Now, the City is looking toward its first fully voluntary freeway removal: 1.2-mile spur of I-280, north of 16th Street, which currently links US 101 to Mission Bay. 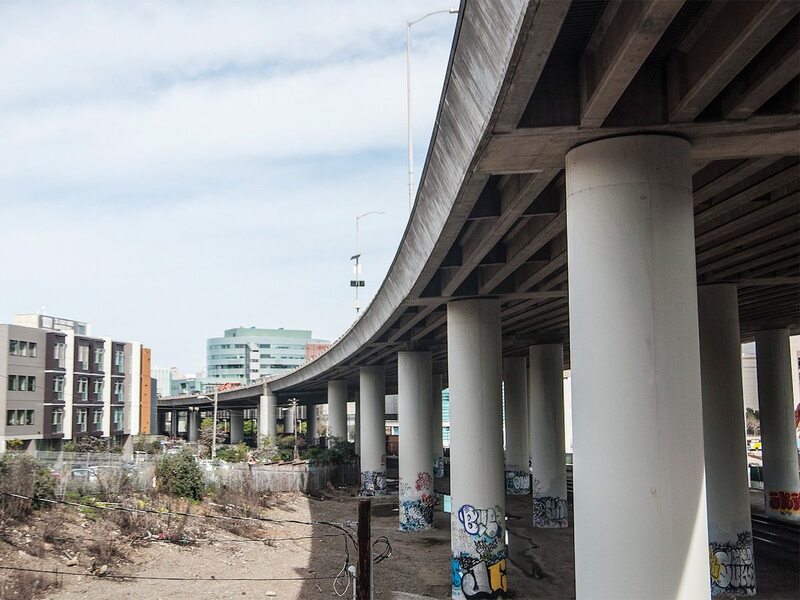 Just as the property tax base rose and thousands of units of affordable housing were added after the Embarcadero and Central Freeway came down, removing the I-280 Spur would open new opportunities for market-rate and affordable development in the city’s urban core. The removal of the I-280 Spur and its replacement with a surface boulevard has been endorsed by San Francisco Mayor Ed Lee and studied by Bay Area nonprofit SPUR. In December 2012, a report by the City of San Francisco Planning Department compared the direct costs and benefits of replacing the 280 with a modern highway versus converting it to an urban boulevard alongside the redevelopment of the 4th/King Railyards. Crucially for San Francisco, this project could reconnect severed neighborhoods like Mission Bay, Potero Hill, and SoMa. Once-undesirable land would be opened up to new housing and commercial development. In the face of the Bay Area’s housing crisis, this development could copy the highly successful Market & Octavia Area Plan—using diverse housing types and mixed-use buildings to fit into the established character of the neighborhood. Moreover, the removal of the spur could serve as a catalyst for transformative projects such as the forthcoming Transbay Transit Center—scheduled to be completed late 2017—and a possible high-speed rail station where I-280 currently terminates. The freeway removal project, with its considerable political will and likely high return on investment, is a critical first step. The Railyard Alternatives and I-280 Boulevard Feasibility Study is currently underway to examine this removal. For over 50 years, the elevated 1.4-mile stretch of Interstate 81 known as The Viaduct has cut like a knife through the heart of Syracuse, New York. For the urban neighborhoods in its path, I-81 has had the same effect as most urban interstates: it destroyed a historic African-American community, disrupted the flow of city streets, and paved over countless historic homes and sites. Historically, The Viaduct’s construction forced the displacement of nearly 1,300 residents from the 15th Ward as it severed downtown Syracuse from University Hill and the Near Eastside. It created acres of abandoned property and vacant lots in what had been some of the densest parts of the city. As the path of displaced residents sparked white flight in other neighborhoods, the interstate’s effects rippled out across the city. Now, Syracuse faces a unique opportunity to replace the elevated viaduct with a boulevard designed to reconnect the city and reverse its urban decline. Recent studies have shown that current thru-traffic could be rerouted to I-481, avoiding a crush of congestion while reopening the city grid to local residents. Today, that common-sense proposal has the support of the mayor, governor, and city council. With The Viaduct nearing the end of its design life, two options remain for the New York State Department of Transportation: Rebuild the elevated freeway, or replace it with a surface boulevard. Compared to rebuilding, teardown would save $400 million, preserve 24 buildings, and open up the downtown to more economic development. A proposed third option, involving a $2 billion highway tunnel across the city, has failed repeated technical evaluations and enjoys little support among the public. 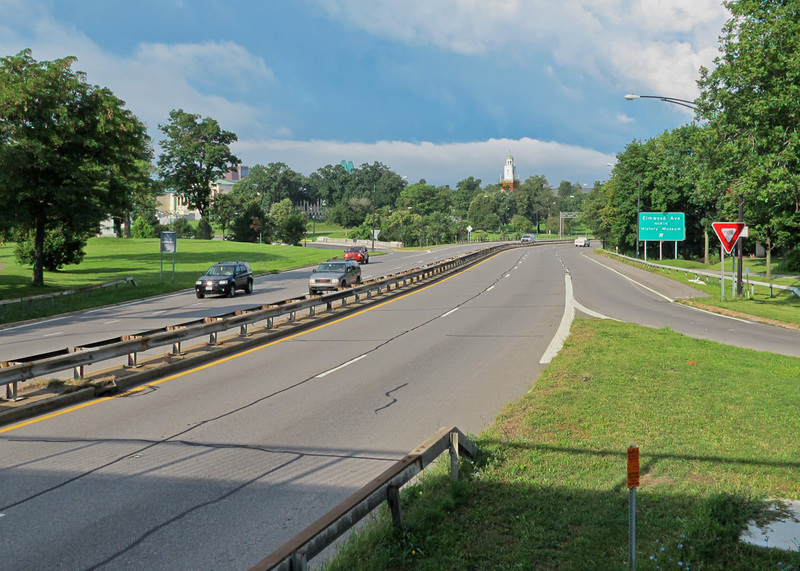 Despite this, New York Governor Andrew Cuomo recently directed the state DOT to revisit this and other alternatives for I-81, which could spell disaster for Syracuse. Currently, NYSDOT is drafting an environmental impact statement identifying the preferred alternative, which is expected to be made public in early 2017. For Trenton, New Jersey, only one thing stands in the way of connecting the downtown core to the scenic Delaware River waterfront: Route 29, an underutilized four-lane highway carrying through-traffic at high speeds. Calls for the removal of Route 29, which has severed connectivity and destroyed residential communities, date back to the 1988 Capitol City Renaissance plan. By the mid-2000s, the City and the New Jersey Department of Transportation had studied a boulevard replacement idea extensively, and momentum was growing. Then the 2008 recession hit, developer interest dried up, and the campaign languished. Now, the concept is taking hold again—and it deserves implementation. A surface boulevard replacement for Route 29 could lay the groundwork for a vibrant, connected new waterfront neighborhood, all while allowing for environmental restoration and innovative stormwater management. In the 1950s, the northern section of Route 29 was converted to a limited-access, four-lane highway along the Delaware River, speeding traffic from the expanding suburban fringe through downtown Trenton directly to state facilities near the waterfront. The highway’s construction eclipsed a small riverfront street in the downtown, replaced a working canal adjacent to downtown, and destroyed the city-owned Stacy Park. The roadway sits almost exclusively on a 100-year flood plain. 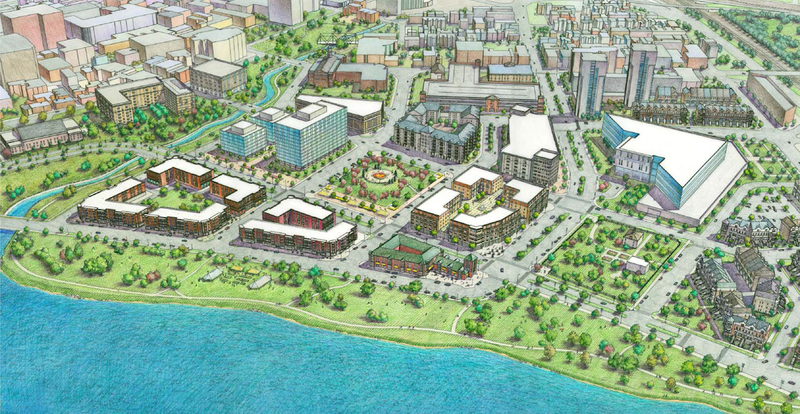 In 2005, the “Boulevard Study” showed that a surface street, intersected with the city grid, would improve access to the river and reclaim 18 acres of prime developable real estate. Pulling the boulevard alignment away from the river’s edge and partially rerouting it through adjacent surface parking lots was explored, and this eventually became the preferred alternative due to ease and lower costs of construction, better views of the capital buildings, and more developable land closer to the river. That plan includes a connected park system, a route to extend the River Line Light Rail, and a trail network. The Waterfront Reclamation project is the cornerstone of a revitalization effort that, according to one estimate, could contribute $2.25 billion to the city’s economy while improving access to the river, bicycle and pedestrian connections, vehicular circulation, and traffic safety. Environmental benefits include the daylighting and restoration of the Assunpink Creek and better stormwater management to reduce the serious flooding problems in the area. These campaigns represent the second generation of urban highway removal: projects where authorities have committed to removal. For some, funding sources and start dates may be still-undetermined. In March of 2016, the Sheridan Expressway Removal project was granted a $97 million boost in New York State’s budget, a major win for the more than two decades of advocacy led by the Southern Bronx River Watershed Alliance. For the first time, the state has agreed to fund the project, with plans to convert the expressway to a surface boulevard. The actual plan for the project remains in production by NYSDOT, and the timeline for the implementation of that plan is still unclear. The City of Akron, OH is in the middle of a multi-year process to decommission the Innerbelt highway that looms over the city’s downtown. The traffic counts are severely low. Under the decommissioning plan, the side roads that line the highway will become neighborhood connectors. Over 30 acres will open up for possible redevelopment uses like new housing, business districts, green space, trails, and civic buildings. However, the City of Akron in uncertain of what comes next with the decommissioned road. Montreal began ripping down the Bonaventure Expressway in July 2016, 50 years after the 11 lane roadway was built. The promise to replace the highway received wide support, including the blessing of Montreal Mayor Denis Coderre. 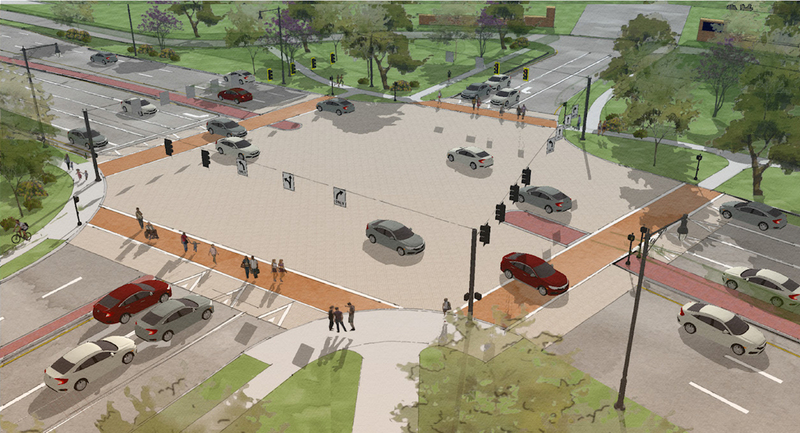 The highway will be replaced with two urban boulevards, at an expected cost of $142 million. The project is expected to be finished September 2017. For decades, the Robert Moses Parkway has cut off Niagara Falls from its scenic gorge. Thankfully, the State of New York has promised $42 million to remove two miles of the highway, opening up 140 feet of park space. This is “the largest expansion of green space since the Niagara Reservation was designed in 1885,” The Buffalo News reports. The removal plan will re-establish waterfront access for the city and increase parks, trails, and ecotourism. The project will result in the removal of the elevated embankment to at-grade, opening views and access to the Upper Niagara River. The City of Somerville has asserted itself as a desirable destination for tech companies, green businesses, and maker spaces. LivableStreets Alliance, a local advocacy group, has worked with a coalition of neighborhood groups, advocacy organizations, and elected officials to reknit East and West Somerville back together by “grounding” the McGrath Highway that cuts through town. After years of public engagement and study, MassDOT agreed. The DOT has committed to replacing the highway with a surface boulevard, slated for construction in 2026-2029.